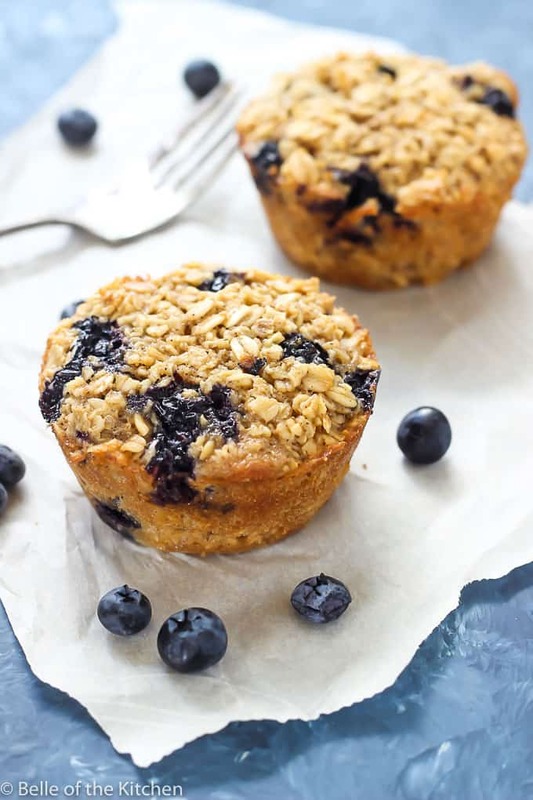 Blueberry Baked Oatmeal Cups – when you need a healthy and easy breakfast, these blueberry baked oatmeal cups are the perfect way to start your day. They’re perfect for making ahead and enjoying on busy mornings! When my husband and I first started dating, I learned quickly how important breakfast was to him. One of our first dates was to Waffle House where he polished off the All Star Breakfast platter, and that was just the first of many more visits to the Wa-Ho together over the years! Back then, though, breakfast wasn’t even really a meal for me. I’d maybe grab a granola bar as I ran out the door to class or work, or possibly eat half of a pop tart while taking notes in class. I had never been much of a breakfast person until I met my husband, but just like he has in so many other ways, he helped me to see the light! Ha! And now, just like him and our three kiddos, I’m a breakfast lover! But even so, that doesn’t mean that I get to enjoy breakfast the way I’d really like to everyday. 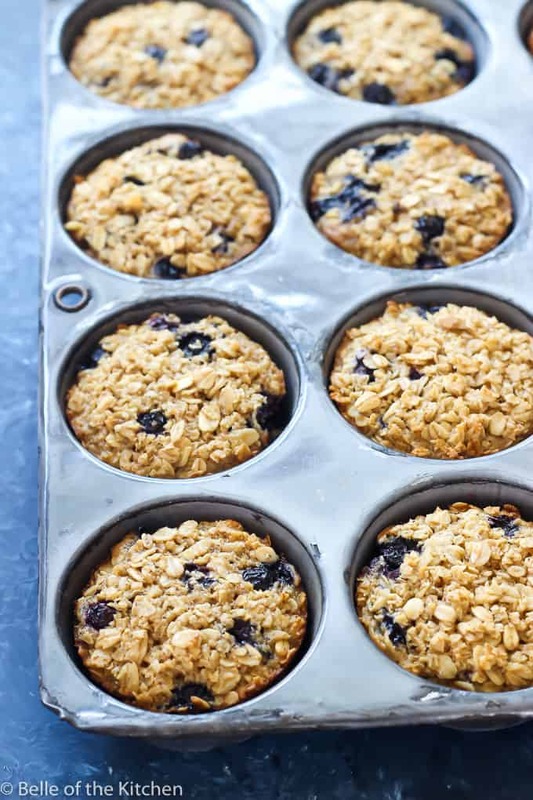 A lot of times now it’s a hardboiled egg or a banana as I shuffle kids to school, but after learning the beauty of make-ahead breakfasts like these Blueberry Baked Oatmeal Cups, I’ve got lots more options and so do you! 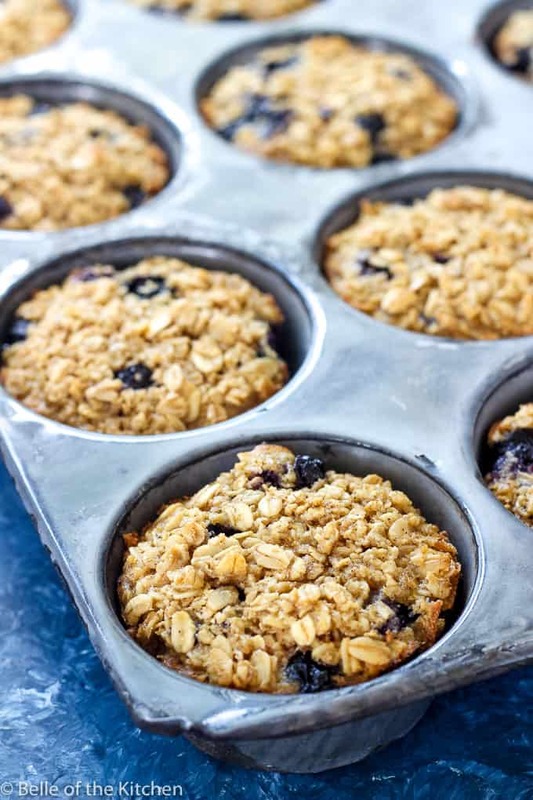 These Blueberry Baked Oatmeal Cups are actually a pre-portioned, make ahead version of this recipe from way back in the early days of my blog! Please ignore the bad pictures, but the recipe itself is a good one! I usually make these on Sunday, then pop them in the refrigerator once they’re cool. To warm them up, just pop microwave on high for about 1 minute. If you’re enjoying them at home, they taste great with a little bit of vanilla Greek yogurt over the top. Otherwise, they’re delicious on their own if you need to run out the door! 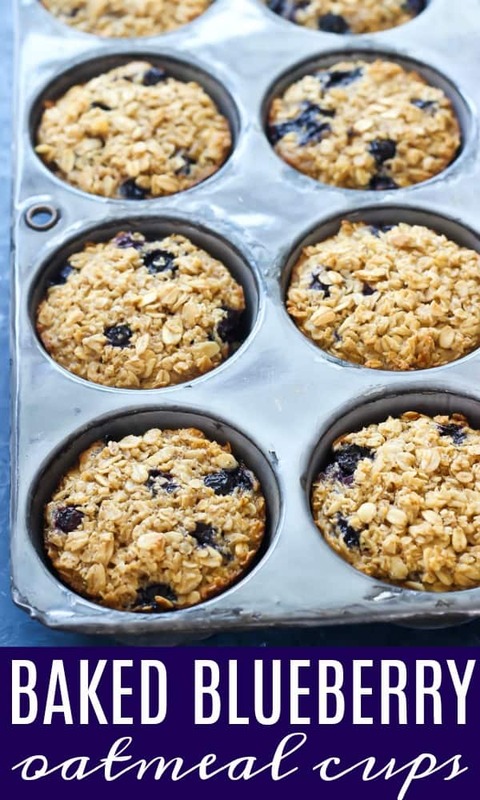 When you need a healthy and easy breakfast, these blueberry baked oatmeal cups are perfect for making ahead and enjoying on busy mornings! Preheat oven to 350 degrees. Spray a standard size muffin pan with cooking spray and set aside. In a large bowl, combine the oats, sugar, baking powder, salt, and cinnamon. 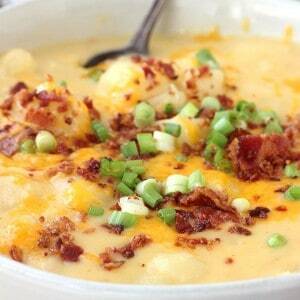 In a separate smaller bowl, mix together the eggs, milk, and butter. Stir the wet ingredients into the dry ingredients then fold in the blueberries. Pour the oatmeal mixture into the prepared muffin pan, about 1/3 cup each. 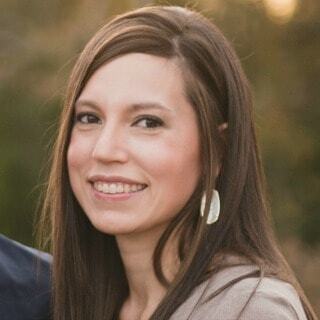 Bake for 18-20 minutes until edges of muffin cups are golden brown and fully cooked. Remove from oven and allow to cool before removing from pan and serving. These can be stored in the refrigerator for 1 week in a container with a lid or in a large resealable plastic bag. To reheat, place on a microwave safe plate and microwave on high for 30-45 seconds. Enjoy! I’m 57, male and never baked before but recently took an interest. This is the first thing I’ve baked! Either I’m really good or your recipe is awesome, or a combination of both cuz these blueberry baked muffin things are incredible!! 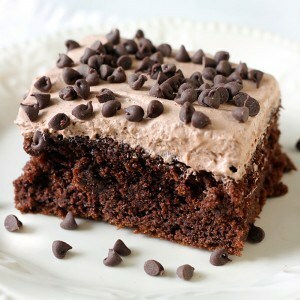 HI Ashlyn..i really enjoyed your post and it looks sooo good & more yummy, am gonna making this…Thanks for sharing….! I love the idea of this quick grab and go breakfast! And full of energy to help you start your day! I am totally making these this week. I’m on an eternal search for the best blueberry muffins, and these might be it!!! Thanks so much!!! Oh yum! This is the perfect grab-and-go breakfast for me as I run out the door. Definitely making! 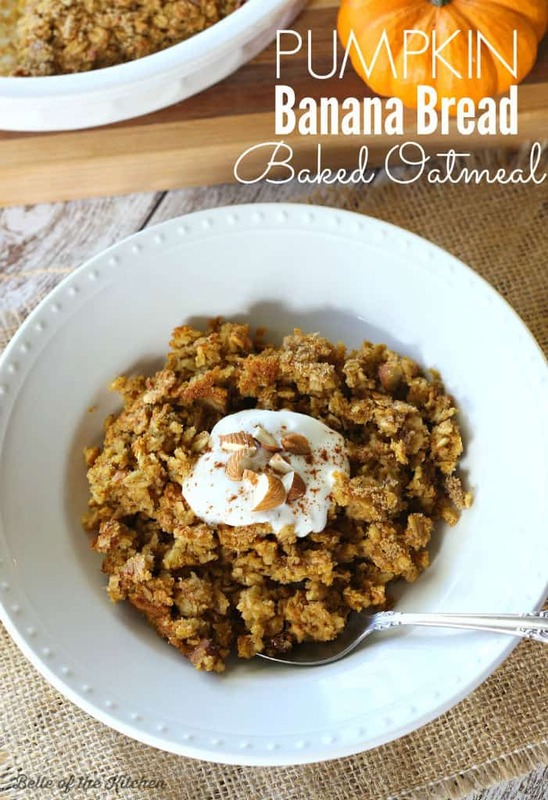 I’m always looking for delicious – yet healthy – make ahead breakfast recipes so this one sounds absolutely perfect for me! This breakfast sounds like it is built for champions. 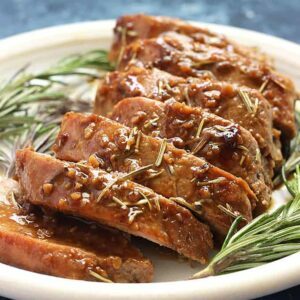 I love how easy, quick, and delicious this is. Bonus, that you can take it on the go! These are one of my favorite ways to do breakfast on the go. Love the blueberry addition! 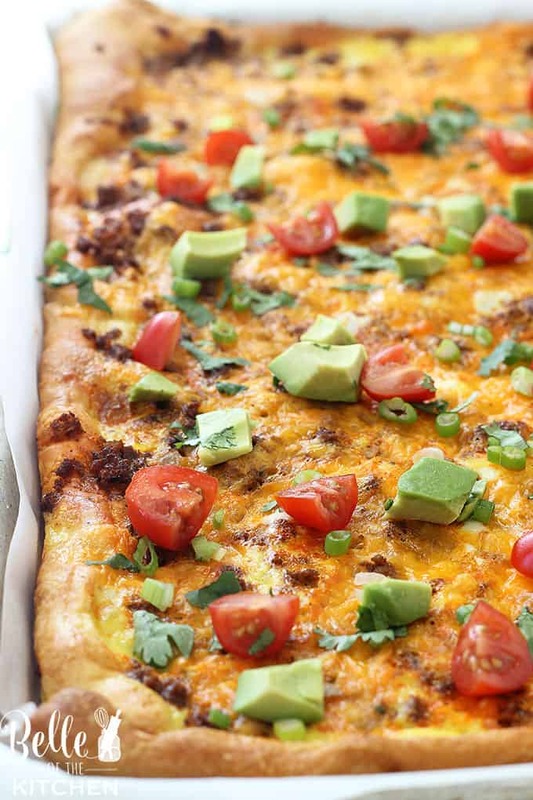 A totally yummy make ahead breakfast idea! I actually love breakfast food but almost never eat it because i always seem to be in a hurry. 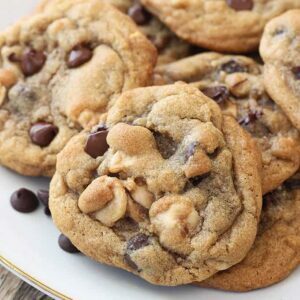 I love that you can make these ahead of time! These look like the perfect option for making breakfast ahead of time, they look and sound absolutely delicious! Oh how I want one (or a few) of these for breakfast tomorrow morning! Love all of the oats on top. YUM! 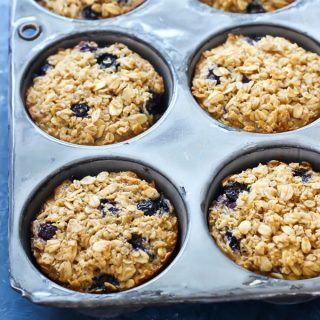 I absolutely love a make ahead breakfast, but somehow never thought about making a baked oatmeal cup this way! Such a perfect way to get ahead for the week! What a fantastic idea! I love this for the busy mornings. Thank you for the awesome post. Bookmarking.